Antti Niemi has played 3 games this season. Simply put he has not been good in any of those games. Currently his GAA Is an absurd 7.49. and his save percentage is 0.797 Both marks are good enough for worst in the league. The team in front of him has not played well either, but that is another issue entirely. Matt Murray is playing behind the same team and has played 7 games and has a 3.35 GAA and a save percentage of .896. These numbers aren’t great by any means, but they certainly aren’t the worst in the league. Dressing Niemi at this point seems like a forfeit. I know I was mentally prepared for the Pens to lose against Tampa last weekend as soon as the starter was announced and admit it, you probably were too. So what’s a general manager to do? Apparently the answer is to place Niemi on waivers, where he was claimed by the Panthers. 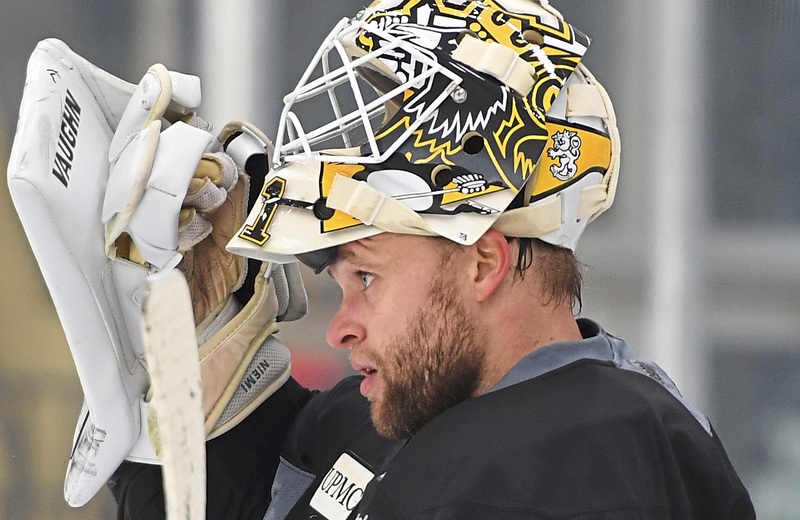 Casey DeSmith has been called up from WBS as his replacement. Why exactly is DeSmith up and Tristian Jarry still in WBS? 1. DeSmith has the hot hand right now. Jarry does not. DeSmith is 3-0 -1 with a 0.98 GAA and a .965 save percentage. Keep in mind it’s often harder for goaltenders to play behind AHL defensive corps rather than NHLers. Despite Jarry’s strong play and passing “the eye test” each game he dressed finds himself with only a 1-2 record (3.96 GAA and a .883 save percentage). Tristian Jarry is only 22 and is in the AHL to play. Jarry is ill suited to back up Matt Murray at this point in his career and is still very much developing. He also badly needs to get a few more wins under his belt this season and find his form which was stellar last season. 3. The Penguins have less invested in DeSmith than Jarry. 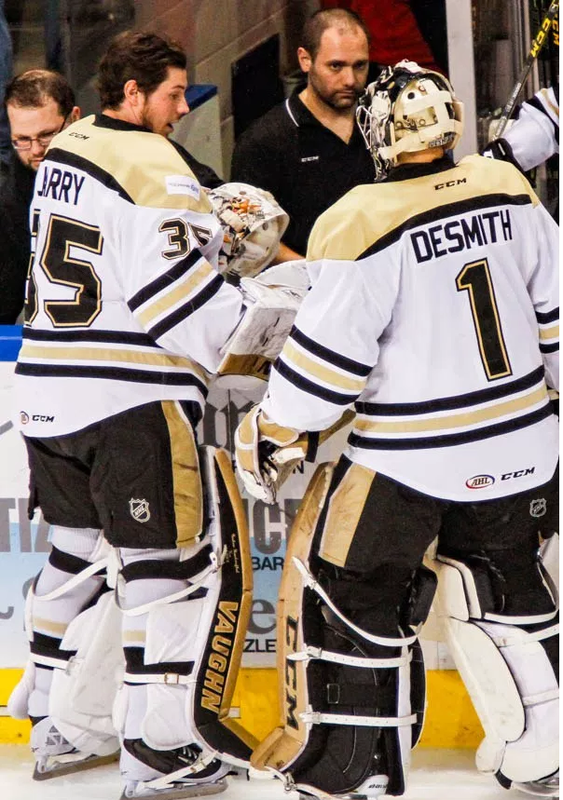 DeSmith was signed by the ECHL Nailers out of college. Tristian Jarry is a second round draft pick. Jarry is a much bigger investment and needs to be properly developed. Jarry failing to reach the NHL at some capacity would be a disappointment. If DeSmith excels as an NHL backup that’s fantastic. He has already exceeded his expectations by developing into a fantastic AHL goalie, anything else at this point is gravy. DeSmith’s callup duration will likely be determined by his play. If he excels there is no reason to think that he couldn’t be a permanent solution as the backup goaltender in Pittsburgh. If he falters, Jarry could get a short term look, but ultimately the Pens would be forced to look outside the organization for help in net. The Pens have a back to back this weekend against the Wild and the Jets. Hopefully, DeSmith gets a chance to shine against the low scoring Wild.